Jurors in a double murder trial in Danville heard an opening statement from the prosecution today (Tuesday). But the defense attorneys representing 30-year-old Glen Torres chose to reserve their opening statement. Torres is on trial in connection with the August 2015 shooting deaths of 28-year-old Zarra Strickland and 29-year-old Theodore Hill. The prosecution says blood from the victims was found in a vehicle that was recovered in Indiana, despite multiple efforts that were made to remove the blood from the vehicle. The prosecution also says a fingerprint from the defendant was found in the vehicle. Prosecutors say the abandoned home where the bodies were found belonged to a grandmother of the defendant’s girlfriend. The prosecution claims the bodies were dumped at the home on August 2nd of 2015 after the victims were shot inside the car in Danville. The first witness called by the prosecution, Martin Hollis, said he was cleaning up some property on Western Avenue when he discovered the bodies. Hollis said the bodies were near a tree line, and one was on top of the other. 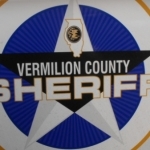 Vermilion County Sheriff’s Deputy Ryan Wells was the first of several law enforcement officers to testify in the case. He said the bodies were in a decomposing state when found. Illinois State Police and the Vermilion County Coroner’s Office were called in to process the scene. Circuit Judge Nancy Fahey told potential jurors on Monday that the trial is expected to last eight days.